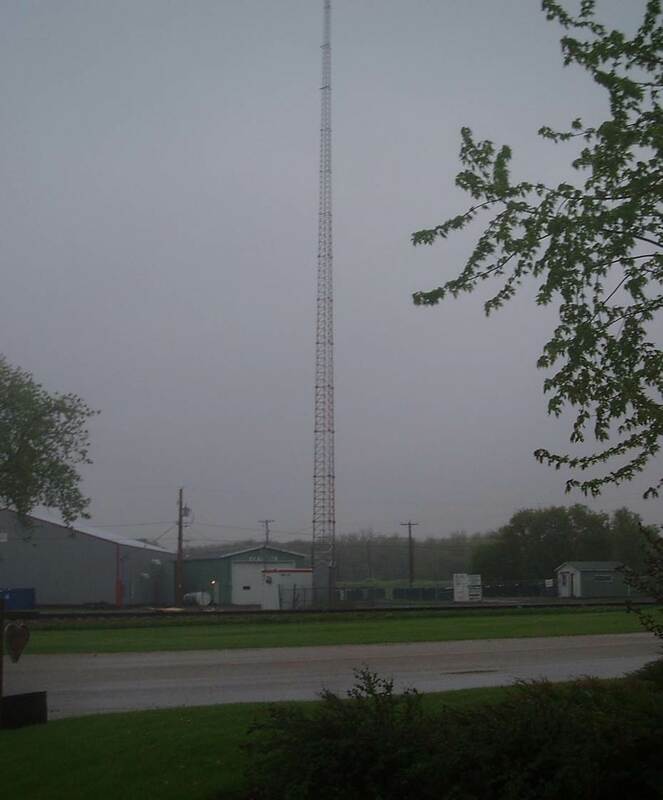 2011/05, Mile 92, BTRC yard and communications tower in Darlingford – looking S. from village across tracks in the rain. Photo – N.F. (Click on photo for enlargement) © Text and Photos exclusive copyright of N. Froese, Author.